Have you ever wanted to step inside the doors of those that wield the Xbox Live banhammer? PAX East allowed us to see some of what goes on behind the enforcement veil. Stephen Toulouse ran a very entertaining panel at PAX East 2010 where he detailed the ins and outs of his job as the director of Xbox Live policy and enforcement at Microsoft. After whipping out his official rulebook, which was actually studded and looked like it could have done some enforcement of its own, he shared the secrets behind the reasons for certain types of enforcement, how complaints get reviewed, and the terrible things he has to reveal to parents. 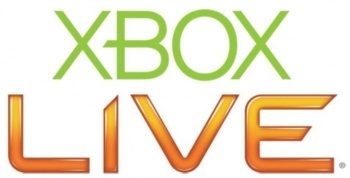 Did you think that Xbox Live enforcement was largely automated? Well, it's not. Every complaint gets reviewed by a living, breathing human being. Offensive complaints go right to the top, but filing 100 of them against that jerk that happened to beat you at a game of Worms consolidates them all into one folder to be reviewed, so he's not going to get kicked off Xbox Live automatically no matter how many are filed. Revenge can only be gotten by getting better at Worms. Toulouse's team also consists of many specifically trained members that play games online to find cheaters and those exhibiting improper behaviors, as seen recently with "The Pro" situation, where an enforcement member banned a player during a game of Modern Warfare 2 (he deserved it). Enforcement is a job that is very human oriented because context is so important. Toulouse used the example of somebody that might have a gamertag such as Guy420. This could be Guy Johnson from Houston who was born on April 20, but it could also be a drug reference. Enforcement all comes down to protecting the customer and the Xbox Live service itself. Toulouse doesn't want to break skulls with the banhammer, but he does want people that work hours and hours for achievements to be able to be proud of them, and for people of all ages to be able to have the kind of experience they're looking for from Xbox Live. He pointed out the repercussions for cheating or hassling people in the days of the physical arcade, which usually involved a punch in the gut or a roller skate to the teeth (something I've witnessed personally). Toulouse is the representation of those physical repercussions on Xbox Live, and the lack of that representation would undermine the service. It might seem like a barrel of fun painted with all the colors of the rainbow to have so much power over millions of people, but Toulouse wishes he didn't have to do his job at all. Still, it's necessary, and will be until humanity is eventually enslaved by robots. Foul-mouthed teenagers might be annoying when trying to play against them in Halo, but I find it pretty funny that those same teenagers have given many people jobs and put dinner on their tables. Toulouse told us that the 12-year-old is really the peg point of the Xbox Live problem, but by the age of 15 it seems to cool off. So, what kinds of things does the enforcement team have to deal with on a daily basis? A segment involves the Xbox Live Vision Camera, through which Toulouse says he has seen "so many... things." One of those things involves something called the "helicopter," which I have no desire to know of, but feel free to use Google if you do. Have a little empathy for the Xbox Live enforcers, as the "job will damage you," Toulouse also said. His work doesn't just involve sending emails to notify those that get banned, but also explaining to the mothers of 12-year-olds that those ASCII pictures they typed out represent a man's reproductive organs.